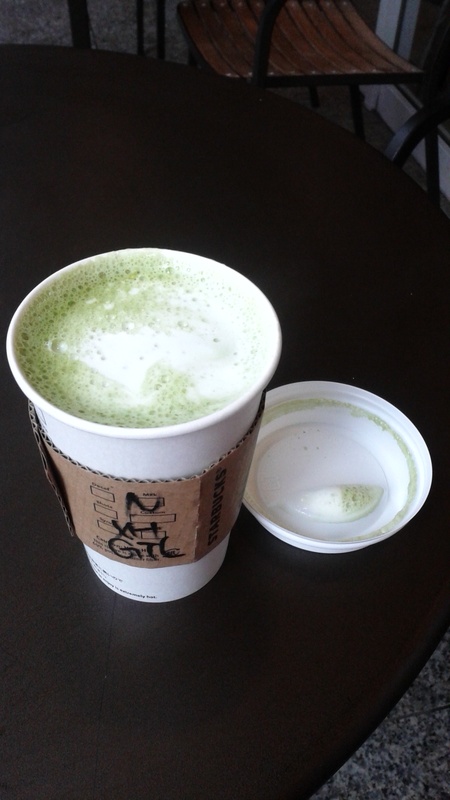 Those few minutes of respite when I can hustle to our nearest ‘Bucks and order my tall, non-fat, extra hot, matcha tea latte are the highlight of each and every working day. That frothiness, the foam, the sweetness in the first sip with a hint of bitterness following hot on its heels – ooh – it’s heaven in a cup! A day spent without it is a sad day indeed. Everyone needs some kind of pick me up after dealing with hormonal, lethargic, and angsty teenagers every day, and this is currently mine. And I would like to mention, at this point, that the Starbucks addiction in my staff room is not limited solely to me. Around 40% of my colleagues frequent our local Starbucks several times a workweek. What would Starbucks do without us? Or, more importantly, what would we do without Starbucks? Here it is in all its glory – beautiful.